Girl Germs are back at Power Lunches, and this time they’re raising money for the Feminist Library. And the Feminist Library will be bringing their legendary stall! 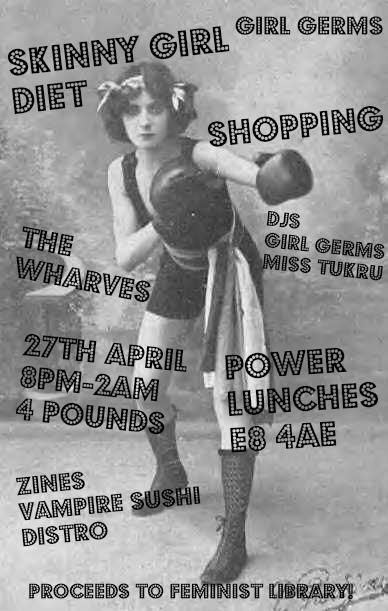 Tags: club night, feminist library, girl germs, power lunches, shopping, skinny girl diet, the wharves. Bookmark the permalink.